The Mind Body Spirit London Festival - one of London's best-known spiritual events - is moving venue this year. The 2012 event will not be at its former home, the Royal Horticultural Halls, but will instead be at the much larger exhibition centre at Earls Court. The organisers say: "The new, bigger venue promises an enhanced visitor experience with its increased number of marketplace stalls and specialised areas that foster an open, friendly environment. The ideal setting in which to engage with like-minded people and enjoy the magic of real life social networking, rather than the digital, Facebook variety." This year visitors will be able to enjoy some extra free activities in the form of a new chill out Mantra Lounge for sound healings and guided meditations, as well as Yoga Shala offering classes and taster sessions. The festival's line-up of presenters for 2012 includes medium Sally Morgan, author of Life After Death; astrologer David Wells; angel expert Diana Cooper, psychic Gordon Smith; Karen Kingston, author of Clear Your Clutter With Feng Shui: Space Clearing Can Change Your Life; Taoist practitioner The Barefoot Doctor; David Hamilton, author of How Your Mind Can Heal Your Body; and Laura Day, author of How to Rule the World from Your Couch. There will also be many other speakers and a programme of more than 50 workshops covering an eclectic mix of subjects ranging from animal Reiki to NLP love techniques and Kriya yoga to fingerprint analysis. Although some of the talks and workshops cost an additional amount above the festival entrance fee, there will still be many free activities and performances, including the Live Demo Stage featuring musical concerts, dance and yoga performances, talks and more. can revive your passion for life." 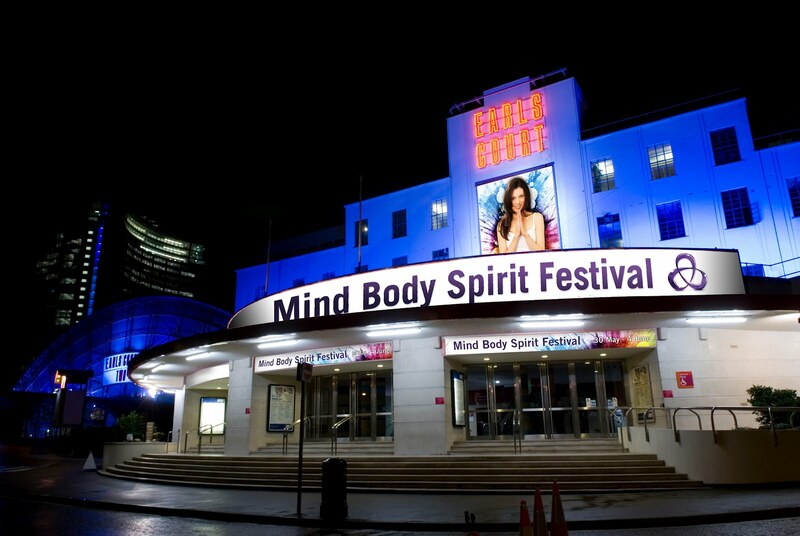 Mind Body Spirit London Festival will be on at Earls Court, Brompton Hall, London SW5 9TA from Wednesday 30 May to Bank Holiday Monday 4 June from 11am to 6pm weekdays, 10am to 7pm at the weekend and from 10am to 5pm on Bank Holiday Monday. Tickets cost £10 on the door, £8 advance. See the website for workshop fees and concessions.